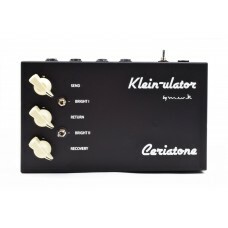 Ceriatone has two premium effects loop buffers, both inspired by the infamous Dumble Dumbleator, the tube driven C-lator with a 12AX7, and the solid state Klein-ulator. Both are extremely high quality devices that seamlessy introduce time based effects into your signal chain at the proper point for maximum tone, because isn't that what it's all about? Prices shown include shipping to CONUS only. Additional shipping may be required for Canada and Mexico, Hawaii, Alaska, Puerto Rico, Guam and the US Virgin Islands. We only ship to the USA, Canada and Mexico. Ceriatone kits normally take approx. 1 week to ship and complete units will take approx. 2 weeks to ship. C-lator Complete Unit: $318 Shipped to the USA. Shipping is more to Canada and Mexico.The Ceriatone .. 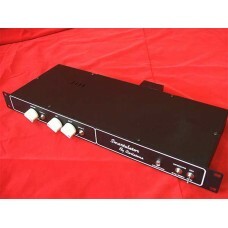 The Ceriatone Custom-built Klein-ulator is the solid state version of the famed Dumbleator effe..